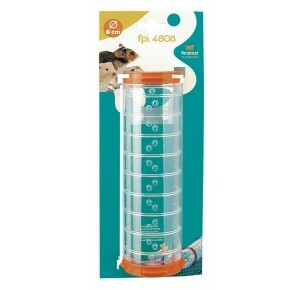 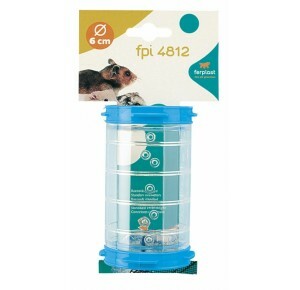 FPI 4816 is a telescopic connecting tunnel for hamster cages that adapts to a variety of models of modular Ferplast cages, tubes and tunnels for rodents and lets you create original areas in which they can play, providing paths for your furry friend to enjoy. 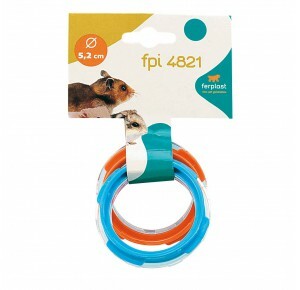 The item is one of a complete range of accessories for small pets. 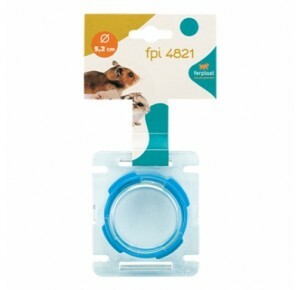 Made of transparent plastic, it is perforated to provide a proper flow of air. 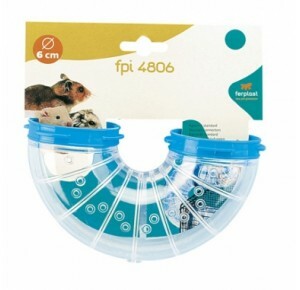 The length can be adjusted from 12.5 cm to a maximum of 20.2 cm, and it has an external diameter of 6 cm. 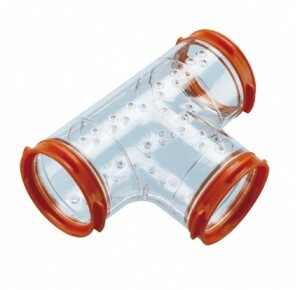 A 'U' turn clear piece of modular tubing for use with the Combi 01, Combi 02, Combi 03, Laura, Liza and Paula hamster cages. 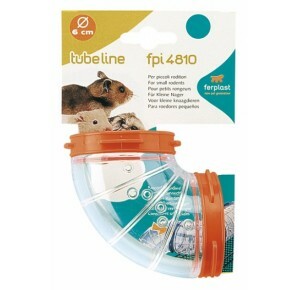 Clip this together with other "Tunnel" or "Cube Set" tubing in the range and create a whole hamster maze! 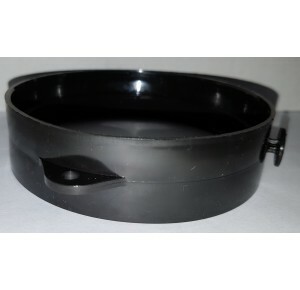 180 degree turn, 6cm diameter. 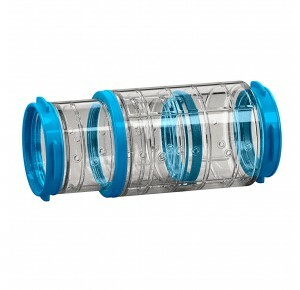 A clear, splitted, tunnel piece of modular tubing for use with the Combi cages, duna fun, Laura and Paula hamster cages. 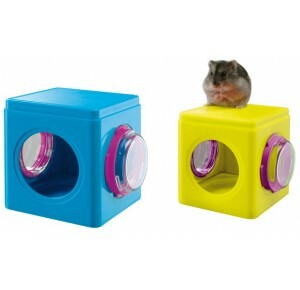 Clip this together with other "Tunnel" or "Cube Set" tubing in the range and create a whole hamster maze!